SOUTH AMBOY—South Amboy held a tribute on March 17 for Sgt. 1st Class Benjamin Sebban, who died in Iraq two years ago on this date. Sebban’s family was escorted into the park by members of the South Amboy Police Department. 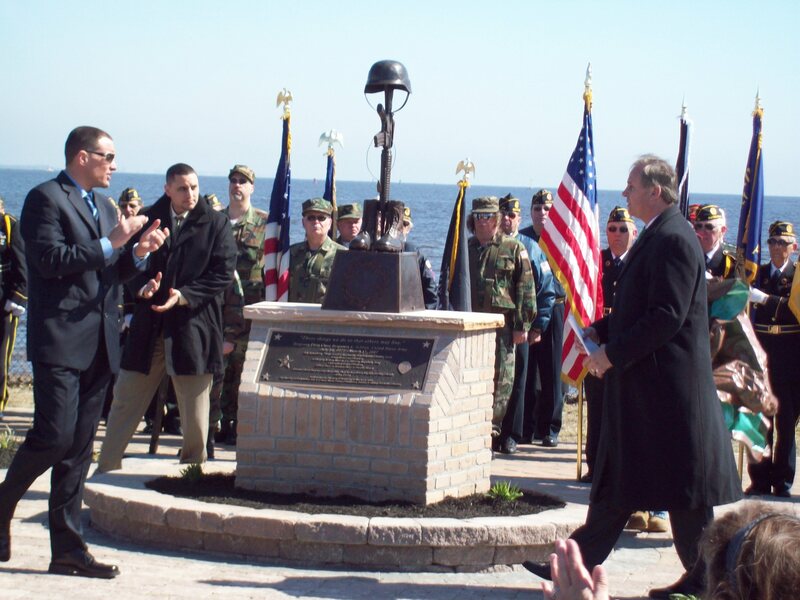 South Amboy Mayor John T. O’Leary welcomed over 400 people who came to the park to remember the soldier who grew up in South Amboy. A monument was unveiled to remember Sebban’s supreme sacrifice for our country. Rev. George Campbell from Christ Church gave the invocation. Many military members and Middlesex County politicians spoke highly of Sebban’s sacrifice to put others ahead of himself while in combat as an Army medic. Barbara Walsh, Sebban’s mother, wished everyone a Happy St. Patrick’s Day and spoke of her son’s military career.